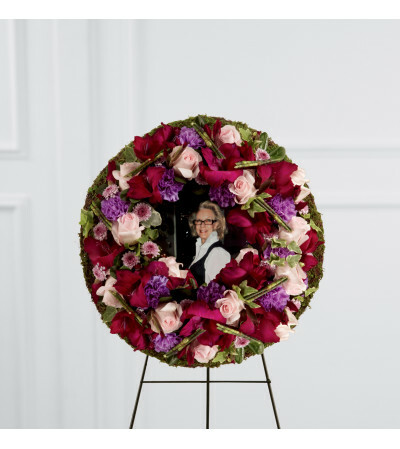 The FTD® Eternity™ Standing Easel is a stunning way to capture the memory of the departed at their final farewell service. 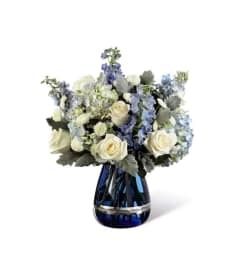 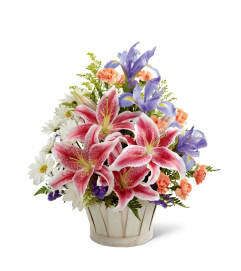 Pink roses, purple carnations, lavender button poms, magenta gladiolus, variegated ivy and pittosporum greens are lovingly arranged to form a wreath surrounding a favorite picture of the deceased. 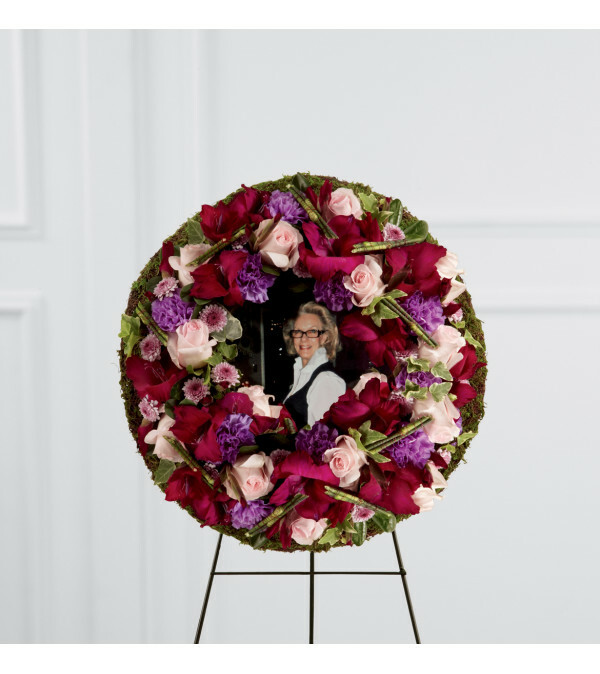 Displayed on a wire easel, this arrangement is a moving way to honor their life and express your unending love and affection.